Ukraine introduces "money follows the patient" principle. The Ukrainian parliament on Thursday, 19 October, adopted the bill on state financial guarantees for the provision of medical services and medicines. The bill, supported by 240 deputies at 226 minimum required, introduces state guarantees for the payment of medical services and medicines provided to patients at the expense of the state budget on the basis of the "money follows the patient" principle. In particular, the law sets the concept of the "guaranteed state package" – a certain scope of medical services and medicines, which the state undertakes to pay on a predetermined flat rate that will be annually approved by the Cabinet of Ministers. Financial guarantees are provided regardless of any additional criteria to all citizens of Ukraine and registered taxpayers. MP Iryna Sysoyenko, who presented the draft law, drafted by healthcare committee for a second reading, said that the legislation first and foremost changes the principles of healthcare financing. She said this principle has been the core of discontent of the opponents of the reform, "the people who now control the shadow financial flows in public health institutions." 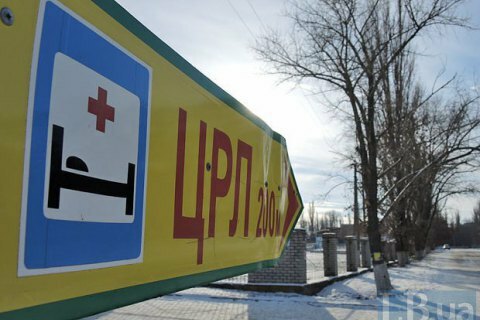 Sysoyenko said that the adopted bill no longer provides for co-payment for medical services. "The state shall pay for the whole scope of medical services, the entire amount of health care provided," the deputy said. The size of funding allocated for the state programme of guarantees will be determined annually in the state budget and make at least 5% of the nation's GDP in protected budget items. Also, the parliamentary committee decided to expand the list of types of medical assistance to include second-level medical assistance, highly specialized assistance, medical care for children under 16, pregnancy and birth. The previous reading of the bill provided that the state would fully cover health care and medicines at primary and emergency levels (about 80% of all citizens' applications) and palliative care. The adopted bill retains all medical benefits for war veterans, participants in hostilities, disabled, Chornobyl veterans, and the military. The bill also introduces safeguards regarding the salaries of medics, Sysoyenko said. The salary of a medical worker shall be no less than 250% of the average wage in Ukraine. The bill does not envisage closure of hospitals or their privatization, Sysoyenko emphasized.